Car Dealers give their valued customers that final gift with purchase. Vehicle owners manuals give your clients valuable information about their car they have purchased from you. 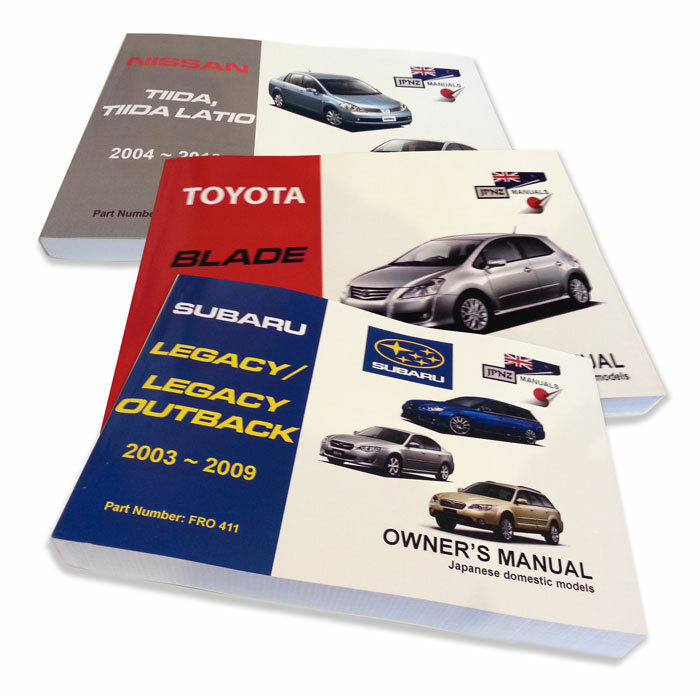 JPNZ have been translating and publishing car manuals into English for over 20 years. Everything you and your customers need to know about the vehicle, translated from the original Japanese manual and printed in high quality easy to read English manual with full illustrations. Support your vehicle sales with this bonus service. A car manual for your customer will be the icing on the cake at sales time. This extra consideration and service helps cement you as their preferred dealer. Select the Car Manual using the search box at the bottom of the thank you page. As you progress through the purchase you can assign the delivery address for your particular customer (delivered directly – or use your billing address to deliver manual to your business first).